Bryce Harper's free agency has not gone as planned. One of the best players in the league, Harper was supposed to fetch a record-breaking deal on the open market and have his choice of bidders. Unfortunately, interest in Harper has been extremely low as teams fear a long-term commitment to one player at such a steep price. This lack of interest has opened up the possibility for teams who initially were thought to be out of the Harper sweepstakes, such as the New York Yankees, to reevaluate their positions. 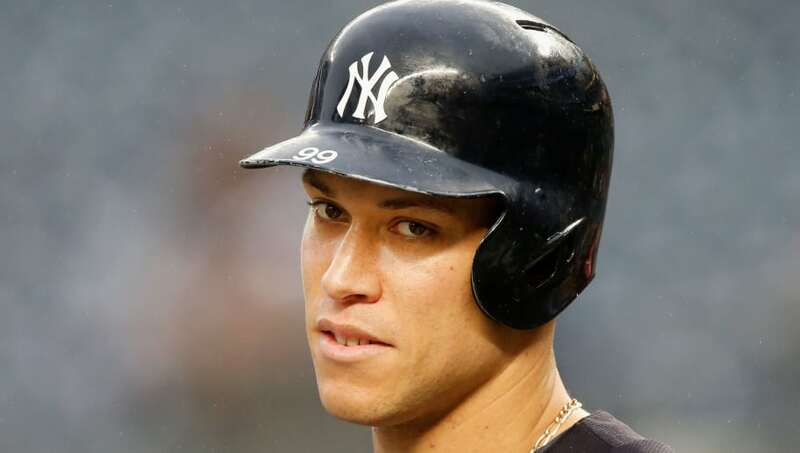 In accordance with this, Yankees star right fielder Aaron Judge has tried to sway Harper's decision by offering to change positions if Bryce signs with the Yankees. An Aaron Judge position change is not as simple as it may seem. The most obvious location for Judge to land would be left or center field. But with Aaron hicks, Brett Gardner, and Giancarlo Stanton all already splitting time in the outfield and DH, fitting Judge into the equation is no easy task. Judge could DH, but Gary Sanchez may occupy that spot if his defensive struggles continue. The simple solution would be to trade Gardner or Hicks. The problem is that Hicks and Gardner both have relatively low salaries, so moving them does not help clear space for Harper's contract. They are also both productive players who the Yankees would not like to part with. Even with Judge's offer, Harper is still thought to only be drawing real interest from the Chicago White Sox, Washington Nationals, Philadelphia Phillies and San Diego Padres. However, there is supposedly a "mystery team" courting Harper's services. If the Yankees are not a mystery team, then Judge will not have to worry about vacating his home in right. But if they are, the All-Star is more than willing to move over to find space.